* Come explore the island! 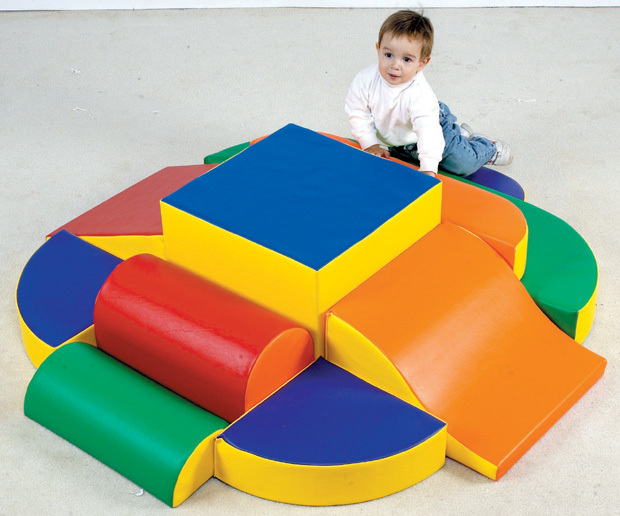 * The center peak beckons small hcildren to crawl, toddle, and conquer this inviting, soft gross motor confidence builder. * Small increments reinforce safety while stretching their potential. * Dimensions: 60" x 55" x 15"